I produced this very simple website for Jenny when she was just starting her dog care business. As a hosted site at WordPress.com, she can easily make changes to the text, and it requires no other maintenance. I can create a simple site of this sort for as little as £120, if you provide the text and pictures. 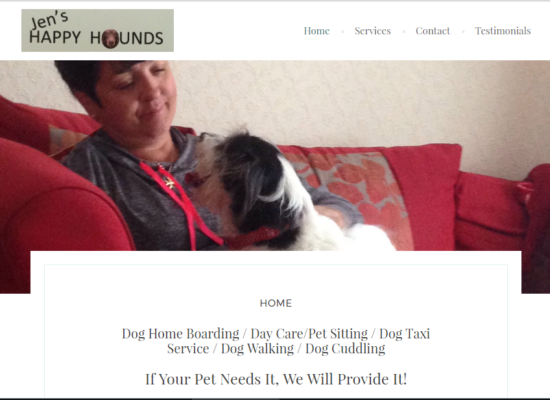 If you choose a WordPress.com address as Jenny has (jenshappyhounds.wordpress.com) there's no monthly charge at all. If you prefer to have your own domain name (such as jenshappyhounds.com) then WordPress.com will charge you £2.50 per month.